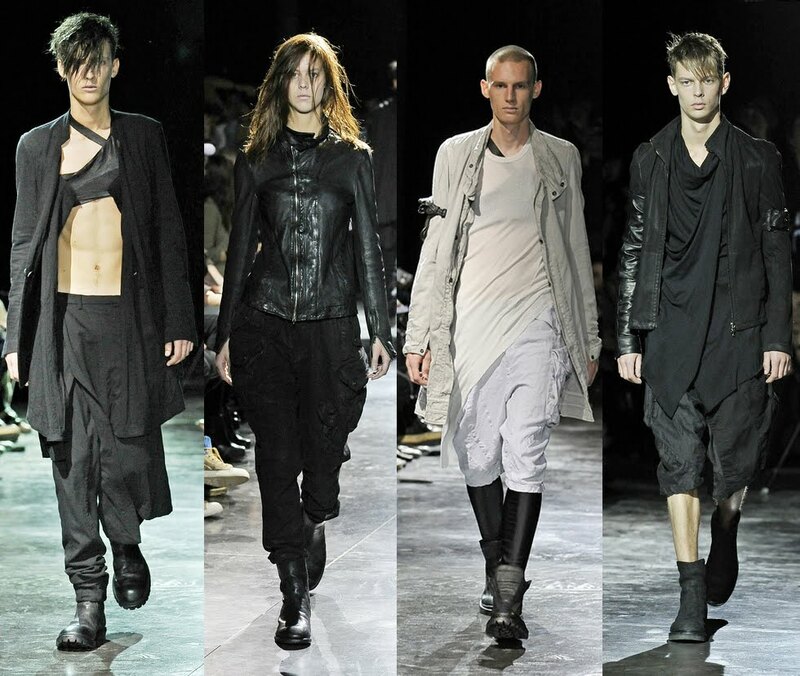 Edgy, brooding menswear from Julius, during Paris Men's Fashion Week. 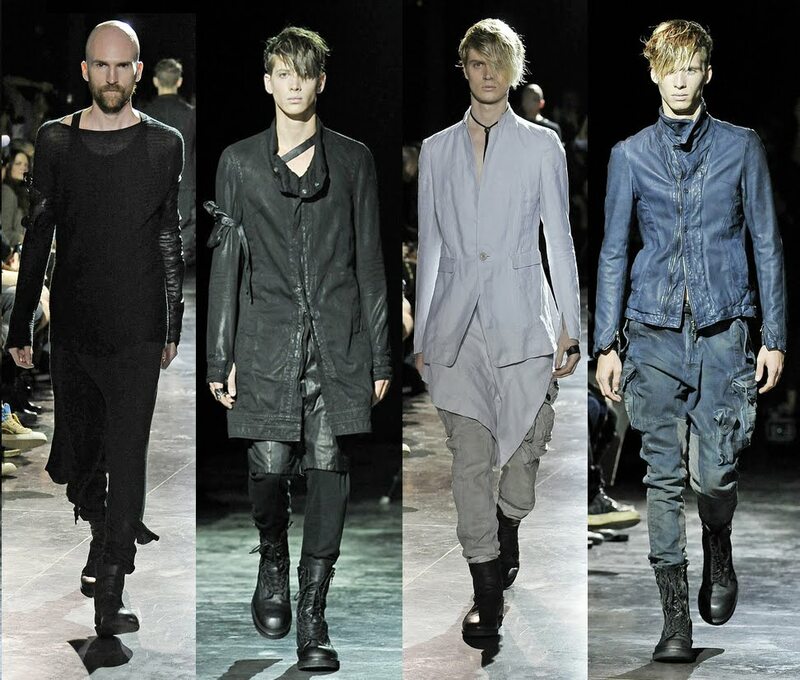 I like the blue look, it's unexpected in that sea of blacks and greys. Most of these pieces are highly wearable (SWEATERS, I am looking at you), but I'm on the fence regarding some of the hair & makeup on the models. I can easily envision a lot of my male friends wearing entire looks from this runway... and I can even more easily envision myself in this sweater(?) shirt(? ).